Summer is here and the Hamptons are in full swing! The questions we keep hearing are what’s new, what’s hot and what’s not to be missed. We did our research and created a guide to make your summer itinerary complete! One of the most talked about new restaurant openings of the season is Lulu Kitchen in Sag Harbor (lulusagharbor.com). 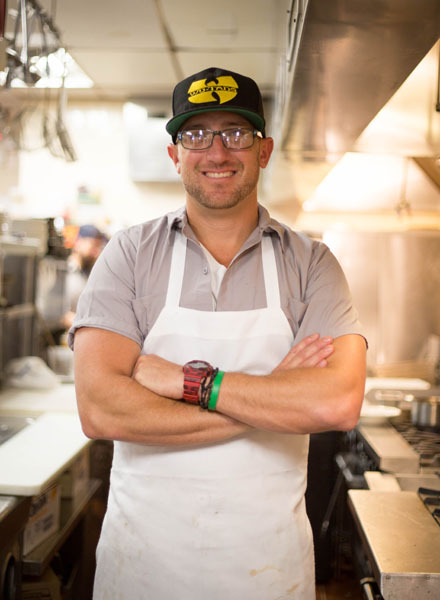 Owned by Marc Rowan, Lulu Kitchen & Bar is the latest addition to his restaurant family that includes Arbor (arbormontauk.com) and Duryea’s Lobster Deck in Montauk (duryealobsters.com). 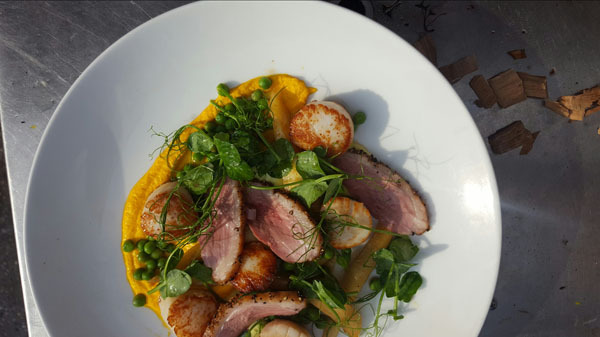 Lulu Kitchen offers delicious wood burning cuisine crafted by Chef Philippe Corbet in a casual yet chic atmosphere. With a strong focus on local produce, the menu features grilled heirloom cauliflower, wood fired pizzas and grilled whole fish. On the more casual side is the new Springs Tavern (thespringstavern.com) just outside East Hampton Village. The historic space, once frequented by famed artist Jackson Pollack, offers burgers, salads, wings, fish tacos, steak frites and more. Over in Bridgehampton at popular French bistro Almond (almondrestaurant.com), Executive Chef Jason Weiner has welcomed Chef de Cuisine Jeremy Blutstein. Blutstein brings a passion, like Weiner’s, for local bounty and promises to take Almond up a notch this summer. In Montauk, there’s a new chief in the kitchen at Montauk Yacht Club, Richard Hebson. Now known as Coast Kitchen (montaukyachtclub.com/food-drink/gulf-coast-kitchen), Hebson has rolled out a new menu with locally-inspired dishes such as Montauk Cioppino. Over at Arbor (arbormontauk.com) in Montauk, a new outdoor dining area with a bar and lounge has welcomed the summer. The bar program will be headed up by Manhattan’s cocktail brand, The Garret. Look for fun craft creations such as Refinery 63 with Singani 63, mezcal, passionfruit, fermented pineapple, and lime juice. If sunsets are your thing, we’ve got you covered. There are several prime viewing options throughout the Hamptons. Starting in Montauk there’s the hottest beachfront restaurant, Navy Beach (navybeach.com). Celebrating their eighth season, Navy Beach has added new dishes and cocktails to the menu including Soba noodles with clams, mussels, shrimp, calamari, daikon, bok choy and mushroom dashi and on the libation front a few “Pitcher Perfect” cocktails such as the Pomelo with silver tequila, grapefruit soda and lime. 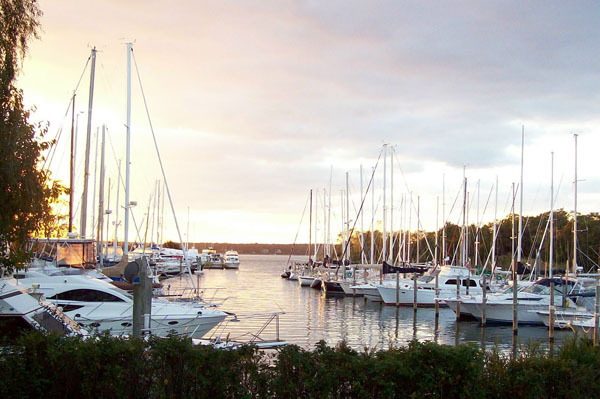 A hidden gem in East Hampton for sunset viewing is Harbor Bistro (harborbistro.net), offering signature dishes such as the crispy kataifi-lobster bundle and the lime grilled local catch. Another prime location for colorful skies is Sag Harbor. Top spots to catch a great view and great meal are The Beacon (beaconsagharbor.com), known for its halibut baked in parchment with sundried tomatoes, tatsoi and toasted Israeli couscous, and The Bell & Anchor (bellandanchor.com), serving P.B. & O., pork belly, local oysters and kimchi. Looking for a spot to host your own party with a view? Consider The Boathouse Shelter Island (islandboatyard.com/shelter-island-weddings-events). The recently renovated 4,000 square foot space features over 200 feet of waterfront overlooking West Neck Harbor offering incredible sunset views. 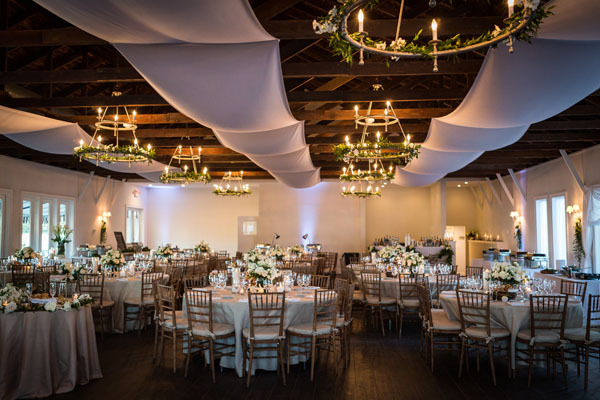 Situated on 18 acres of land on picturesque Shelter Island, The Boathouse includes an additional five acres of outdoor event space, perfect for any size occasion. A few more hot spots for dining this summer include Mercado Mexican Grill and Tequila Bar (mercadony.com) located right on Route 27 just before the Bridgehampton Commons. This unassuming restaurant is serving up authentic Mexican cuisine, that is arguably the best around. Consider sashimi tuna tostadas, the carne asada, or any of the Mexican street tacos. Just outside of the East Hampton Village is Fresno (fresnorestaurant.com). With a relaxed, neighborhood vibe, you’ll enjoy regional, contemporary fare such as the charred Spanish octopus with roasted garlic white bean puree, pickled fennel, castelvetrano olives and caper vinaigrette. 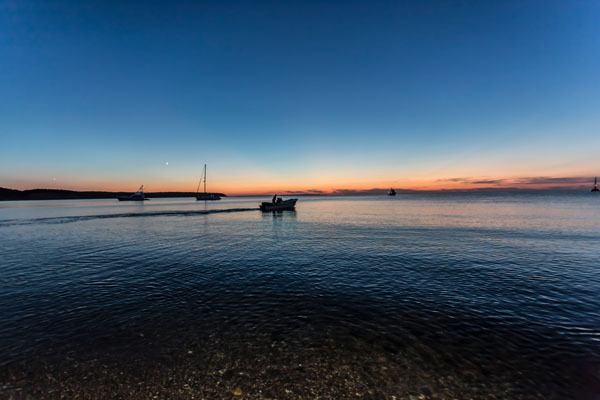 On the Napeague Stretch, east of Amagansett and west of Montauk, you’ll stumble upon The Clam Bar (clambarhamptons.com). This Hamptons institution is your go-to place for a lobster roll – made simple, fresh and delicious, it’s what you’ll dream of all summer long. Looking for a luxurious place to lay your head? Book a room at the fabulous Baker House 1650 (bakerhouse1650.com). This historic and well-appointed inn is located in the village of East Hampton, walking distance from the beach and Main Street. During your stay indulge in the Baker Spa with a plunge pool, sauna, steam shower and a menu of spa treatments. Extend the pampering with a full breakfast prepared on site daily outside among the gorgeous grounds. Staying in shape in the Hamptons is easy to do with the plethora of activities from biking and running along the beaches to high-end fitness classes. If you are looking for a fabulous workout check out Elements Fitness Studio (elementsfitnessstudio.com) in East Hampton. Founder Andrea Hunsberger has curated signature workouts focusing on barre fitness to keep you in shape all summer long. Shopping is no afterthought in the Hamptons. Top brands such as Ralph Lauren, J. Crew and Calypso can be found alongside boutique shops such as the new Copious Row Beach (copiousrow.com) in Southampton, offering the latest in fashionable resort wear for women from top designers such as Monse, Judith Leiber, Tomas Maier and Victoria Beckham. 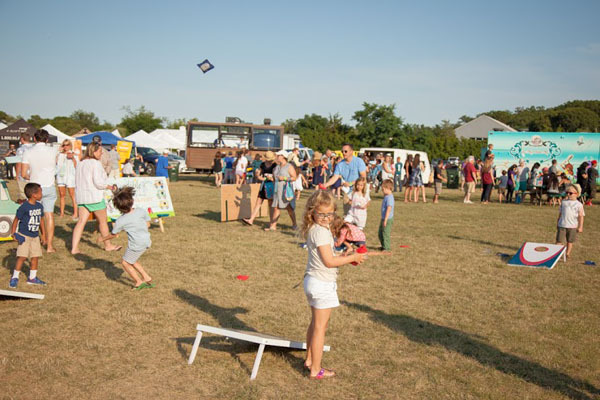 Events in the Hamptons are the place to be all summer long with a few notables as a must. Dan’s Montaco (danstasteofsummer.com/montaco) on July 7 and Dan’s Clambake (danstasteofsummer.com/clambakemtk) on July 8 at Gurney’s Resort in Montauk, and Dan’s Grillhampton (danstasteofsummer.com/grillhampton) on July 21 and Taste of Two Forks (danstasteofsummer.com/taste-of-two-forks) on July 22 both at Fairview Farm. The James Beard House Chefs and Champagne tasting event (jamesbeard.org/events/chefsandchampagne) at Wolffer Estate features top chefs from Manhattan and the Hamptons on July 29. On August 11 at Dopo La Spiagga in East Hampton, the third annual Trunks of Love (vetsinternational.org/events) benefit will be held to support Veterinarians International, a non-profit organization with a mission to enhance the health of humans, animals, and the environment through the use of sound veterinary care and expertise. Hit the 6th Annual Edible Food Truck Derby (edibleeastend.com/event/food-truck-derby) at the Hayground School before for the best bites available on wheels. If you aren’t into hitting the parties, plan one at home! Whether it be a quintessential summer clam bake, a Hamptons housewarming party or just for fun, the premier team of the Hamptons, Art of Eating Event Planning and Catering (hamptonsartofeating.com), will bring all your visions (and taste buds) to life. Staying on trend, there’s a new food truck in town! OPA on the Go! (opaonthego.com) is a Mediterranean food truck serving Greek specialties, like gyros and spanakopita, and of course the American classics, like the signature “Hampton Burger,” is available for private parties and catering. And make sure you have the two hot cocktails of the summer on hand Keith’s Nervous Breakdown (nervousbreakdown.com) margaritas and rum punch. There’s plenty going on and only so many more weekends to do it all. Start planning now!